Designing a data model and implementing it directly in the database reveals to be an important task. 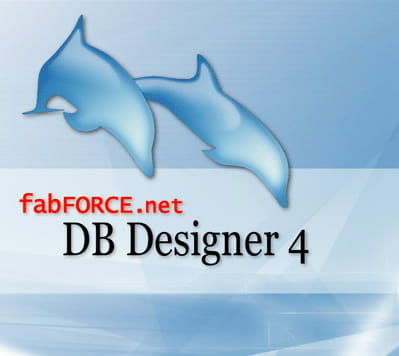 DBDesigner is a visual database design system for the design, the modeling, creation and the maintenance of database into a single, seamless environment. Database: users can create database, specify the tasks of each field and also establish the relationships between fields and tables. DBDesigner can connect to an online database and automatically synchronize with that from your computer. User-friendly interface: DBDesigner has a friendly, simple and clear user interface. Powerful tools are available to quickly generate SQL scripts or XML. It combines professional features to offer the most efficient way to handle your database. Reverse engineering: DBDesigner can also proceed by reverse engineering. This method allows studying what is in the database and determines its operation. This process allows to discover the technological principles of a device, a system or an object through analysis of its structure, function, and operation. Supported database: the majority of database is supported. Here are some of them: MySQL, MSSQL, Oracle and ODBC bases. All database creations and designs are made in few clicks by the mouse. Concerns stability on larger models. Latest update on October 17, 2012 at 01:09 AM.